In a novel of fierce intensity, shifting allegiances, and shocking twists, two investigations collide around a conspiracy on both sides of the law. 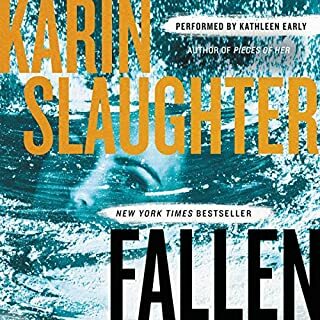 Karin Slaughter’s latest is both an electrifying thriller and a piercing study of human nature: What happens when good people face the unseen evils in their lives? 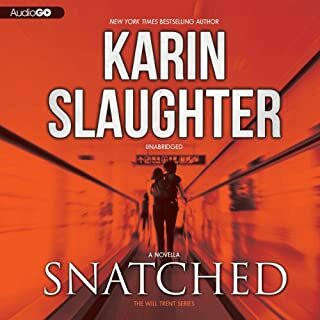 Another great listen by Karin Slaughter. Will and Faith are integral to the story but other characters' (from earlier books) points of view are examined in depth, as well. Totally engaging performance and kept me guessing (which is hard to do). No spoilers here but it was terrific to see (that is, hear) Sara and Will progress in their relationship. Would definitely recommend. 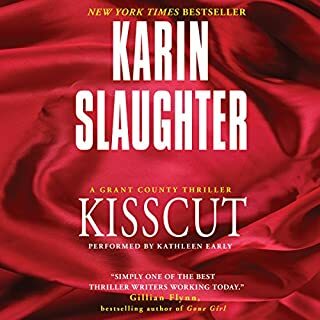 This is my second book by Slaughter and I think I've found an author to tide me over until the next Jo Nesbo release. 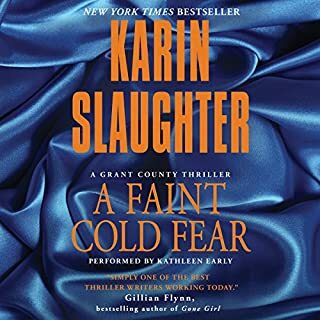 The series focuses around Georgia Agent Will Trent, but what sets the series apart is Slaughter's remarkable genius of mystery around characters most of us can identify with. There are surprises and twists, but subtle enough to keep you riveted to the tale. The deviant criminal activity against women and children is shocking and graphic, but thankfully we are spared having to live through the violence. But anyone who doubts such depravity is realistic hasn't kept up with the news. So the crimes are dark and horrible, but there's always a silver lining in Slaughter's work. It's found in the wonderful characters she creates whose lives share the same happiness and pain most of us enjoy. Now I'm on my third (the first in the Will Trent series) and it is as good as the first two I've purchased. 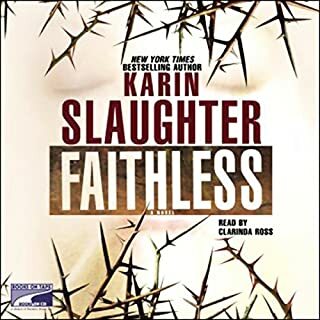 Thank you Karin Slaughter, Kathleen Early and Audible! 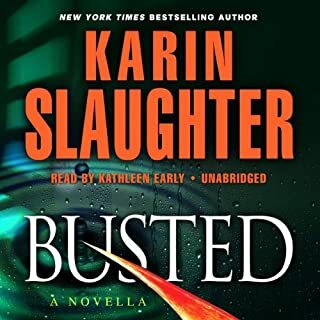 I love Will Trent and Karin Slaughter. Could someone please turn these books into movies??? I think Will Trent is such a dynamic character and Slaughter keeps revealing more and more about him with every book she writes. Can't wait to see what Will Trent does next! 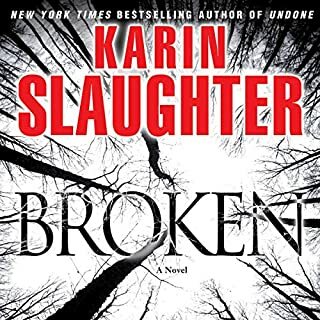 Karin Slaughter's latest is another jaw dropping hit. The story contains complex characters and relationships that are poignant, entertaining and realistic. 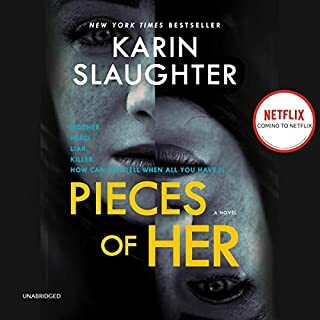 I highly recommend this book and series to anyone who enjoys crime/mystery novels where the good guys aren't one dimensional and the crimes could be from any headline. Great writing, pacing and plotting makes this a completely enjoyable listen. Ms. Early does a fine job narrating. 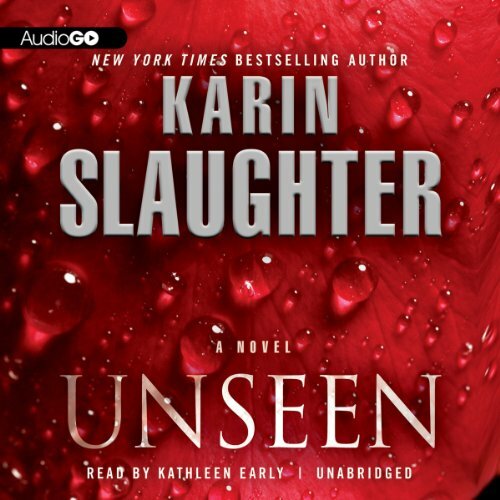 In "Unseen," Karin Slaughter has created yet another story that is intense and suspenseful to the point that the reader is hooked from start to finish. 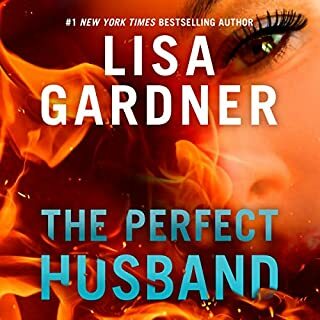 In this book, Will Trent is working undercover in Macon on a dangerous drugs case, which he has kept secret from his lover, Sara Linton. An "unrelated" case brings him in contact with Lena Adams, formerly of the police department in Grant County, and her husband, Jared Tolliver, son of Sara Linton's dead husband Jeffrey who was sheriff of Grant County. Sara has always blamed Lena for Jeffrey's death, and now she is determined to blame Lena for the almost fatal shooting of Jared. The seemingly unrelated cases turn out to be different facets of the same criminal enterprise, which seems to involve a bad cop working with the bad guys. 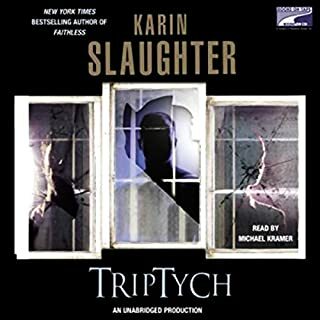 Slaughter ratchets up the tension and suspense to an extremely high pitch as the cases collide, the hatred between Sara and Lena intesifies, several characters have to face their own demons, and many lives are in danger, including Will and a young boy who is being held by the criminal group. 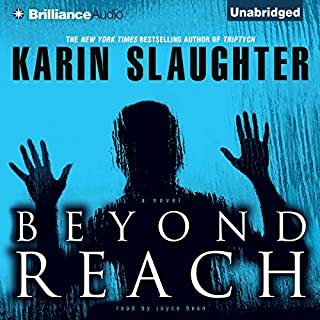 Karin Slaughter has always written very well, but in her last few books she is exhibiting an increasingly outstanding ability to create scenarios which involve her characters in incredibly tense, and very emotional, situations. Her main characters are three dimensional beings, and the effect of their pasts upon their current lives is very well done. 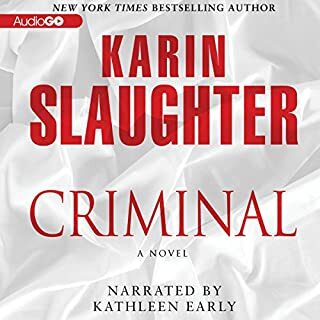 Kathleen Early does an outstanding job of bringing these characters to life. The story continues and while it does not pick up where the last book left off, it is still satisfying. Will is deep undercover and we get an up close look at the sacrifices officers make. Sad, brutal, but compelling story with characters who will stick with you. 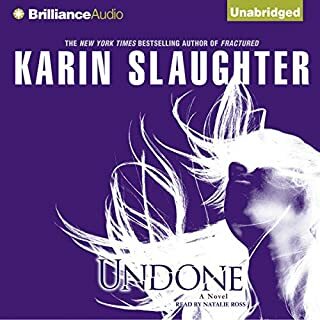 Where does Unseen rank among all the audiobooks you’ve listened to so far? I have known Will Trent and Sara Linton from the beginning, I love how their lives have melded. I remember when Jeffery was killed...I thought I would never get over it. I am so glad Sara and Trent found each other. 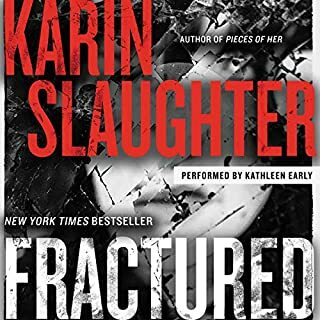 This story is fabulous...I never think Karen Slaughter's next book can ever be as good as the last but they are. 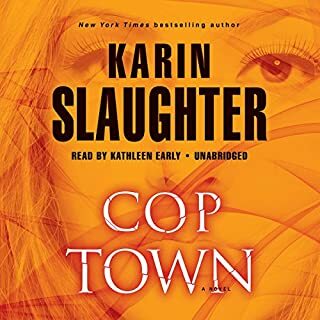 I love Kathleen Early's narration, she does an awesome job with all the characters male and female. I don't know if it would be the same without her. Undercover terror for Wil Trent! Another great book by a great crime writer! I've gotten addicted to the Will Trent series, and this one just continues to perpetuate the habit. 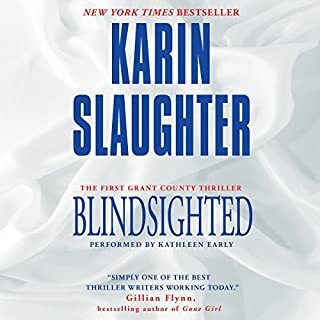 Karin Slaughter is a great crime novelist with the ability to make believable characters because she writes nuanced bad guys, flawed good guys, and has the ability to create empathy for even some dispicable characters. This is one not only includes all of that, but it's inbedded in a great twisty mystery that keeps you anxious to hear how it's going to end. For full effect you may want to back up a few books before tackling this one, but you don't have to. She has an amazing ability to give you enough details to start in whatever book you pick up. By way of warning, she also writes some truly uncomfortable violence and a strange confrontation between the main characters that is equally squirm enducing. It's worth it for a good story that is narrated perfectly. I’m in love with the Will Trent series. 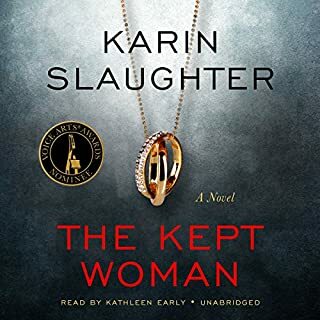 Another great novel, couldn’t stop listening. The story was engaging and had a different feel from the previous ones. Might be one of my favorites so far. Ever since I started the Will Trent series, I’ve been hooked. I’ve plowed through the 7 books so quickly in the last few months. But I think this one was my favorite. 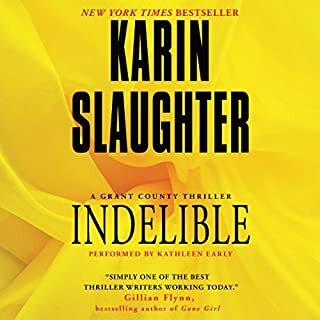 It was a really good case that Trent was working on but I liked how we learned even more about two of my favorite characters: Sarah Linton and Lena Adams. Now I’m on to the last book in the series which I’ll probably be saying is my favorite when I’m done. Slaughter really is great at what she does.